Home-maker and small business owner Ms. Venus Lorraine Moral took home the Most Liked Recipe Prize with her own version of the beloved Pinoy Local Empanada using Lee Kum Kee Premium Soy Sauce. The mother of one has been using Lee Kum Kee products in her home business for more than eight years. Sharing her passion for good food, Lorraine loves joining online cooking and recipe contests. The winning dish is her family favorite. 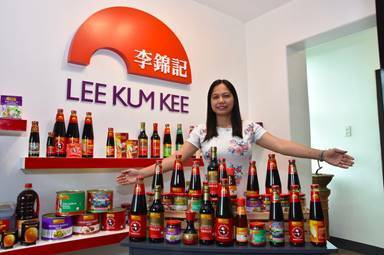 As a cook, Lorraine loves using Lee Kum Kee products for its consistent taste, which makes every dish more delicious. 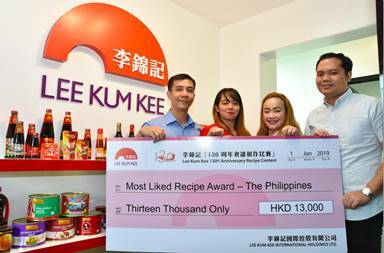 As the winner with 2,370 online votes, Lorraine took home HKD 13,000 in cash (approximately PHP 87,000) and a gift package of Lee Kum Kee products. Runner-up winner Maria Lorena Cruz is a food technologist from Los Banos, Laguna with her winning recipe Char Siu Chicken Mango Tortilla Pizza. With the help of her husband, who was her official taste tester, Lorena used a technical approach using culinary experimentation to come up with the delicious balance of sweet, savory, and tangy flavors using Lee Kum Kee Char Siu Sauce and Lee Kum Kee Panda Brand Oyster Sauce. Having a passion for cooking and baking, Lorena has been using Lee Kum Kee products for over 10 years because of its signature flavor and superior quality. As the runner-up winner with 2,007 online votes, Lorena took home Lee Kum Kee products worth HKD 1,300 (approximately PHP 8,700). Should You Hire a Caterer for Your Event in Stamford, Connecticut?